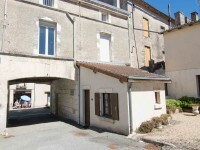 This 2 bedroom house is close to the village of St Séverin with all amenities, and Aubeterre . . .
A wonderful opportunity to have the perfect holiday house, on a small holiday development (4 . . . This large property is situated close enough to the centre of this sought after village to be . . . 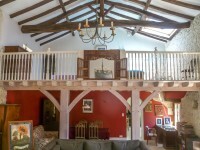 This deceptively spacious home was once a barn and has been lovingly restored by the owners . . .
Three bedroom stone built town house with good accommodation situated close to all amenities in a friendly little town. This property lies in a charming little town with shops, cafés, bars, restaurant, dental and . . . This delightfully secluded property has been running as a successful campsite with 25 pitches . . . This deceptively spacious village house is nicely tucked away in the centre of the popular . . . This conveniently situated house has been tastefully renovated by its current owners and is . . .
Utterly Charming Stone Barn conversion. Loads of Character!! This delightful property lies in a little hamlet, close to a picture postcard village. It has . 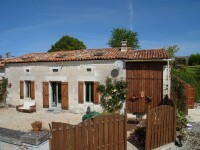 . .
On the edge of a small hamlet, this lovely stone house has been refurbished to a good . . . Village house in good order comprising 4 bedrooms, garden, big convertible attic, close to all amenities. Amenities within walking distance Mains drainage 4 bedrooms Garden with . 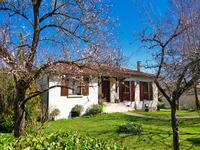 . .
Three-bedroom house on a basement located in a charming village, a few kilometres from . . . This well situated property lies at the end of a small country lane for total peace and . . . Superb stone barn conversion with views. A truly perfect restoration! Beautiful stone barn conversion offering spacious accommodation. Close to Aubeterre sur . . .